This delicate modular box is one of my favorites. It is the first model from Tomoko Fusè that I folded, it made me fall in love with her designs, and this love just keeps growing every time I get a new book by her (she’s the origami artist I own the most books by, at least half a dozen). 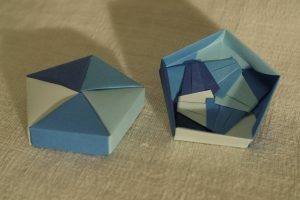 Unfortunately, I do not own the book it is in, I don’t even know which one it is – if someone knows, I’d be glad to add the information, and probably buy the book too :) I only have this diagram from a file on my computer, a scan from a book in English, but not clear enough to read the title. 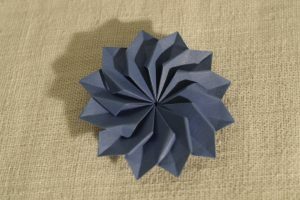 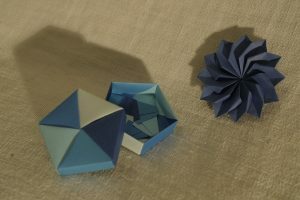 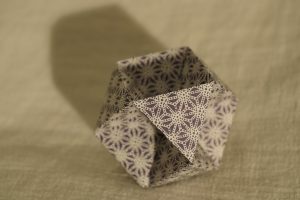 I have no pictures here, but I usually fold a variation I made with the pretty star pattern on the external side of the lid. 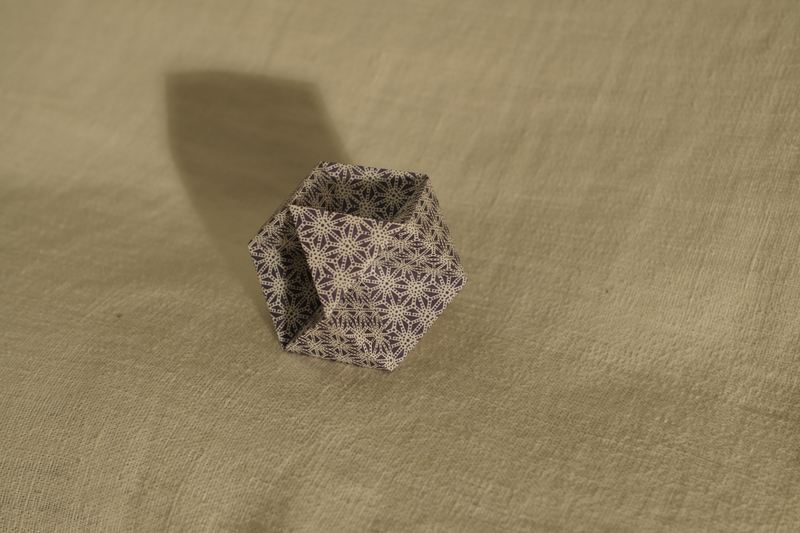 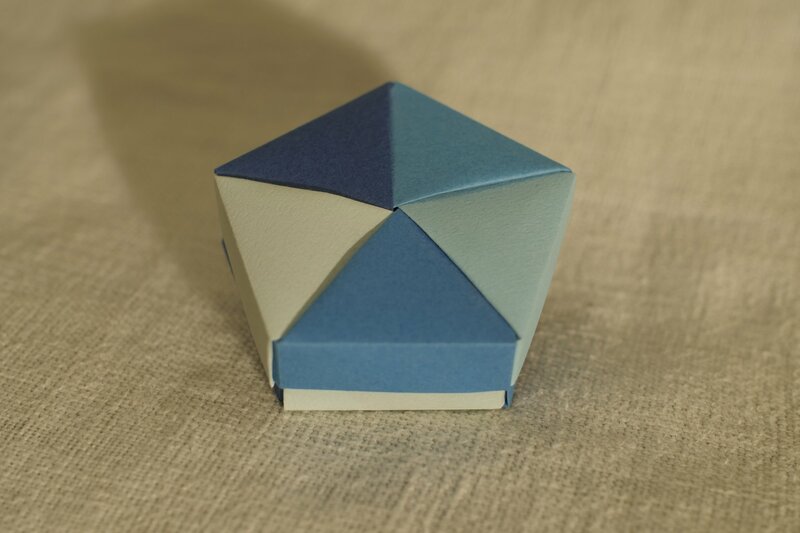 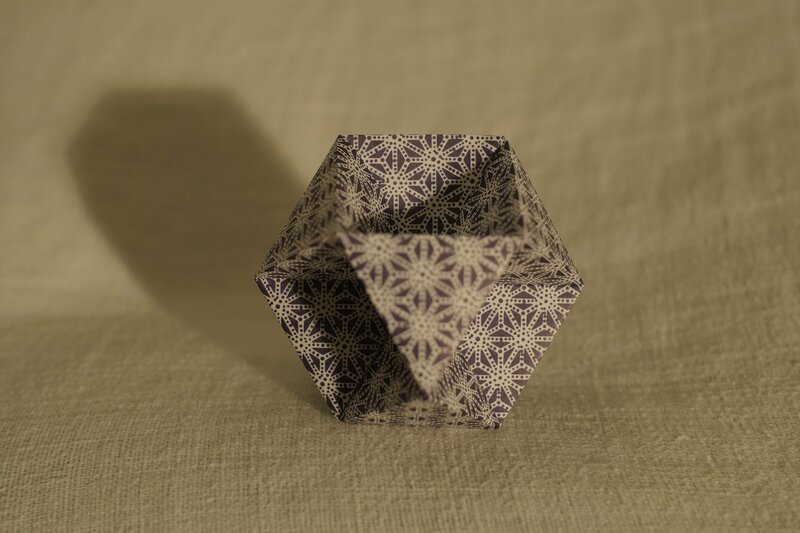 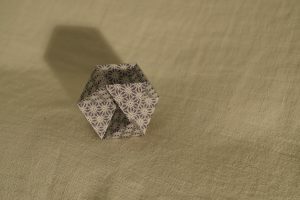 It is folded from 10 sheets of 7.5 cm Tant paper (5 for the lid and 5 for the bottom).